NEW YORK, September 22, 2017 /3BL Media/ - The United Nations Global Compact recognized 10 SDG Pioneers – individuals from around the world who are championing sustainability through their own companies and mobilizing the broader business community to take action in pursuit of the 17 Sustainable Development Goals(SDGs). 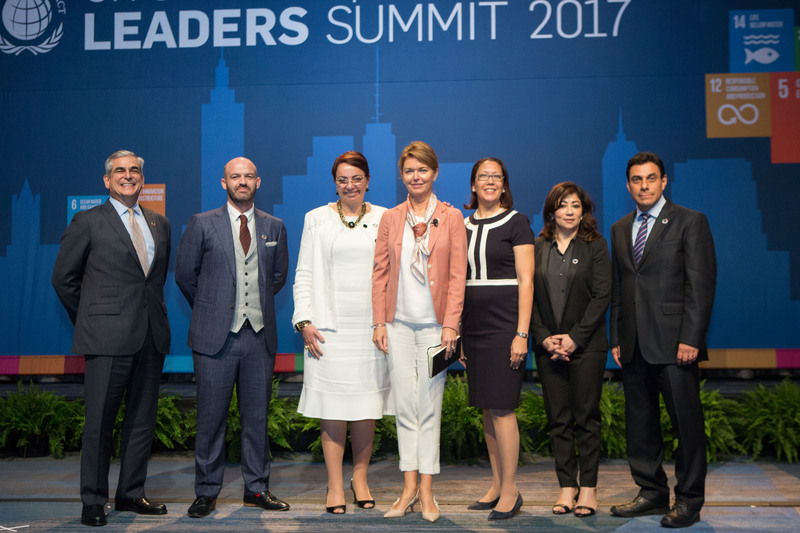 Six SDG Pioneers were recognized on stage during the UN Global Compact Leaders Summit 2017 on 21 September at the New York Hilton Midtown. The UN Global Compact received hundreds of nominations for the 2017 SDG Pioneers submissions, from which 10 finalists were selected by a Pioneers Selection Group, comprised of experts from the UN, academia, civil society and the private sector. Detailed biographies can be found here.